Almonds, a word used to refer to the widely cultivated trees that are mostly found in the Middle East and North Africa. Funnily the seeds of these trees are also known as almonds, a drupe with a hull on the outside and a hard shell on the inside. Out of the whole variety of nuts, and especially since there are so many, almonds have been a particular favorite of the whole mankind since the beginning of time. Having many beneficial effects on the health of people. These are appreciated as a snack by vegans and non-vegans and act as a great foundation for many products like milk and flour. Not only are almonds delicious they have many health benefits listed to their sides. To understand the nutritional value of almonds you need to understand the components that are in half a cup of almonds which further explanation and your own knowledge will help you understand why daily intake of almonds in beneficial for your health. A half cup of almonds contains 207 calories, 5 grams of protein, 5 grams fiber, 7 grams of carbohydrates, 5 grams of sugar, 16 milligrams vitamin E, 97 milligrams magnesium, 172 milligrams phosphorus, 96 milligrams calcium, 33 milligrams iron. All of these components are highly important in your day to day life in maintaining a healthy body and lifestyle. Finding them in the same fruit is you getting lucky and it is time everyone uses this luck for the better after understanding how this is good for us. You might have heard people refer to almonds as ‘brain food’ or recommend you chow down on almonds during your exams. There is a perfectly good explanation why both of those assumptions are valid. In order to have good functioning neurological and cognitive ability, your intake of riboflavin and L-Carnitine should be good. Both of which are present in almonds. Almonds can do other wonders for your brain as well, like reduce the risk of diseases plaguing it because of its ability to reduce inflammation in the brain. If these nuts can help you not get Alzheimer’s they can definitely help you pass a test. Who does not want smooth skin that you don’t need expensive products to achieve and maintain? Well God answered your prayers a long time ago, specifically from the time he gave you almonds as a blessing in disguise. How? Well almonds contain Vitamin E, which reduces any sign of aging as well as nourishes the skin with a healthy glow. They also contain fat which is healthy for you and improves circulation which keeps your skin extremely hydrated. 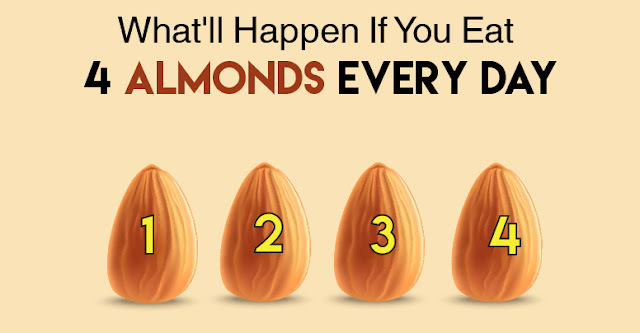 Need another excuse to eat almonds? Well it fights off skin cancer. Having high concentrations of catechin, epicatech, flavonol, quercetin, kaempferol and isorhamnetin, makes almonds a vital component for helping people fight off skin cancer which has become terribly common due to the excessive pollution and UV radiation. No one is a fan of heart attacks, clearly. 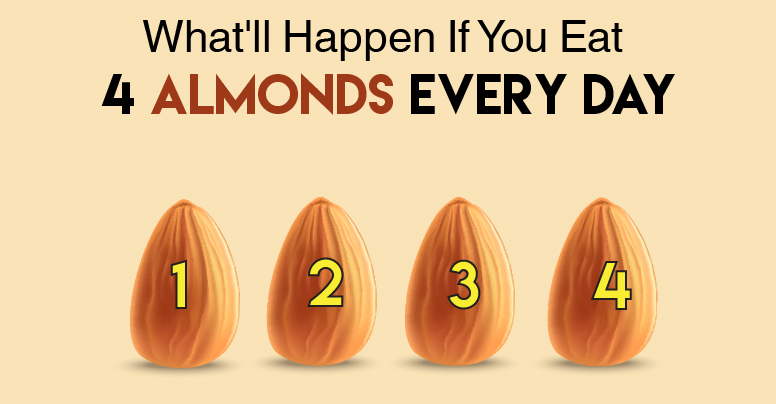 This should automatically help you turn your favor for almonds on a win-win pedestal. Why? The antioxidants and the healthy fat that the almonds provide you with help prevent any sort of heart diseases. The Vitamin E present in the almonds helps reduce inflammation whilst the arginine, magnesium, copper, manganese, calcium and potassium become vital factors in maintaining the health of a heart. Almonds are also known to prevent the build-up of plaque in the arteries which is great because clogged arteries are just a heart attack waiting to happen. Trying to lose weight? Well inserting almonds into your diet is great because of several reasons. Almond contains mono-unsaturated fats that help satisfy your cravings due to which you usually start over eating. Almonds also contain a lot of fiber which is known to create the illusion of being full and also prevents over eating. The fiber in almonds also helps with your bowl movement which is also great to lose and maintain your ideal weight. Almonds are extremely good in making you feel fuller than you actually are. When you feel full your tendency to have unhealthy snacks also falls down a notch. Almonds also promote healthy metabolism not to mention the prolonged satisfaction of having eaten a small amount of food which you usually only achieve after eating a copious amount of it. As mentioned earlier, almonds contain MUFAs, which stand for monounsaturated fatty acids. These help release small amounts of glucose at the right intervals to be released into the blood stream. Since we all know excessive glucose is stored as fat and can also cause diabetes, eating almonds as a snack has the ability to lower the risk of getting diabetes. Almonds contain magnesium and phosphorous, which are also known as trace minerals which are good for the bones. They build and maintain strong bones and teeth. They prevent your teeth from decaying and fight the possibility of osteoporosis not to mention your bones from fracturing. You might have been concentrating on the acidic values in your body a bit too much to realize that you are neglecting the alkaline solutions your body needs. Where does this alkali come from? Well why not almonds, because they contain alkaline materials in them that are greatly beneficial for the immune system. The Vitamin E present in almonds is also a power anti-oxidant that helps the body eliminate diseases that might harm it. The vitamin E helps makes your body stronger and better to fight off diseases such as cancer or any other possible chronic ailment that might befall you. Since almonds contain monounsaturated fats, they help the body insert good cholesterol. While the almonds are providing the body with good fats, they are also helping the body kill the bad cholesterol which is known as LDL, this prevents high cholesterol and diabetes in patients. Talk about killing two birds with one stone! Usually students or working adults look towards meals with high carbohydrates and fat for energy which in turn is a bad idea because this can cause blood pressure, diabetes and the build-up of fats in arteries. Possibility of having a heart attack or a stroke also increase. Almonds on the other hand are a better option to obtain energy from.